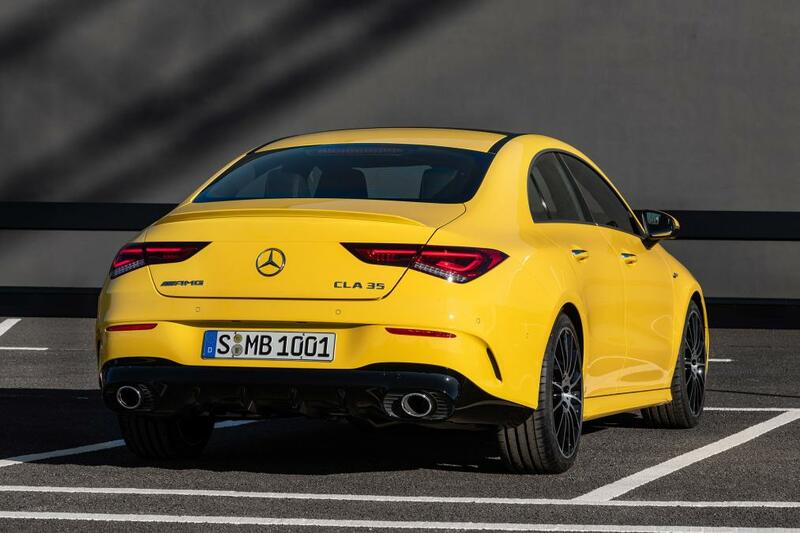 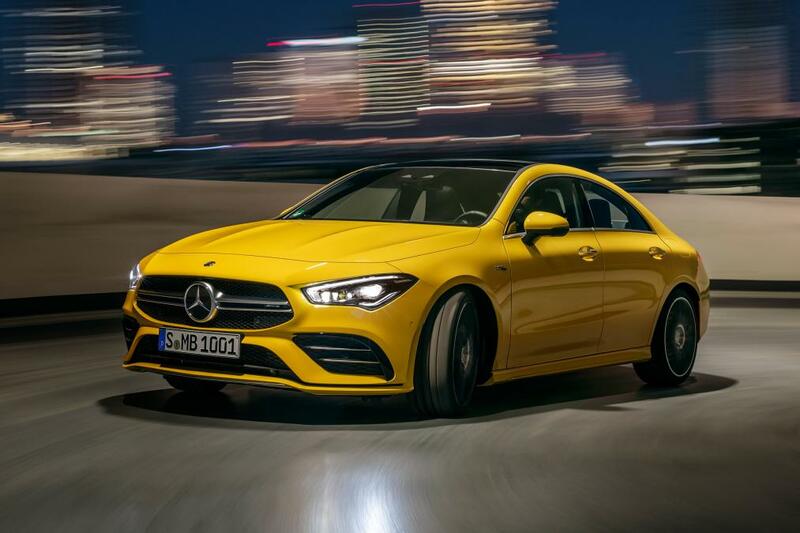 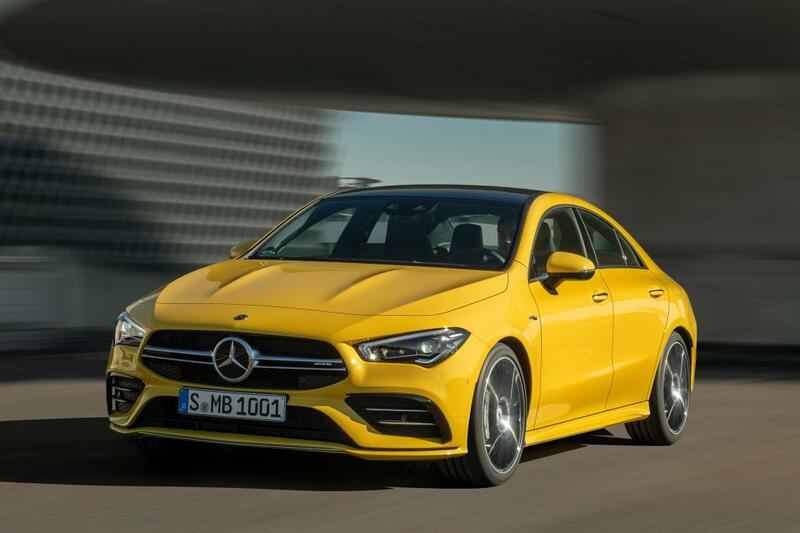 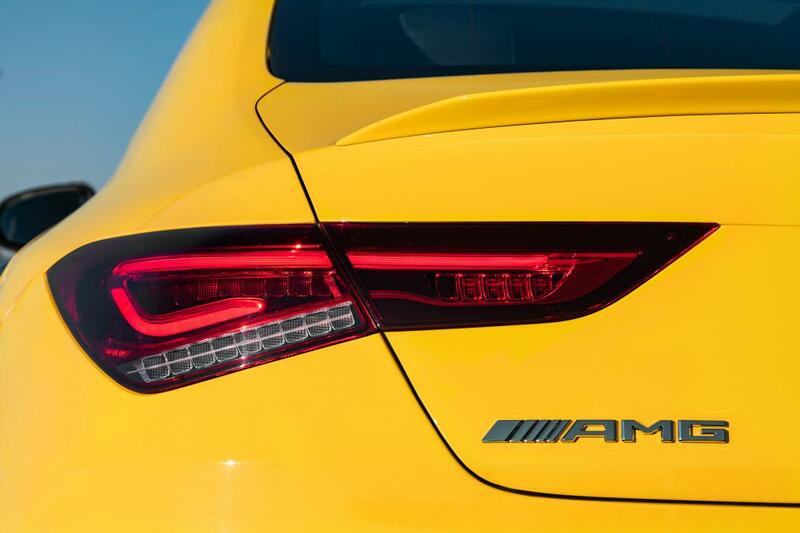 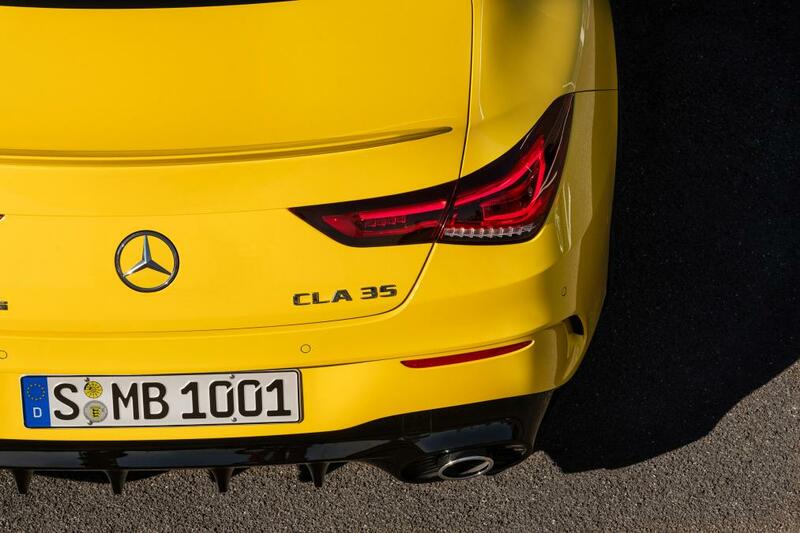 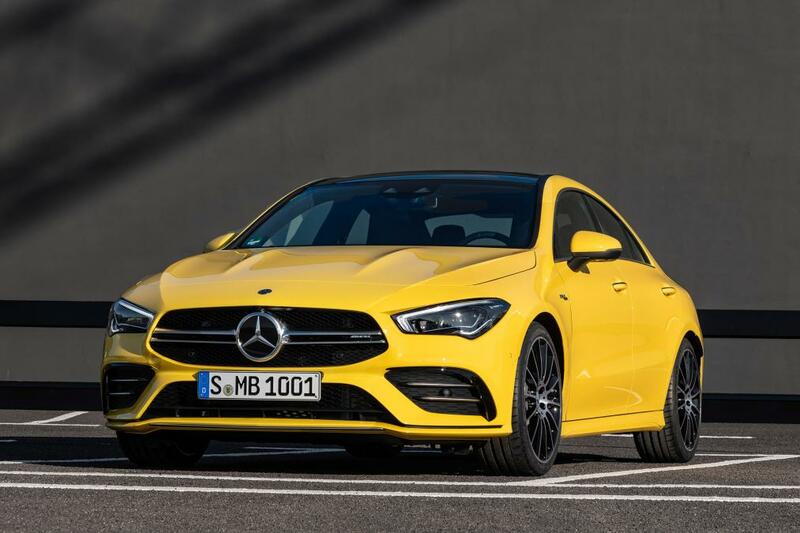 This is the new Mercedes-AMG CLA 35 making it the hottest version of the new second-generation CLA and will debut at the New York Motor Show this year. 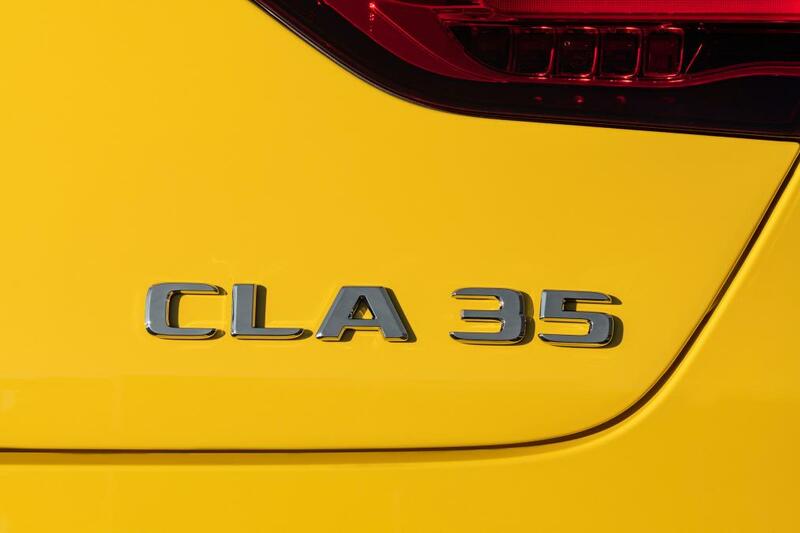 It’s the third car to be announced for the new 35 line-up, alongside the new A 35 hatchback and saloon. 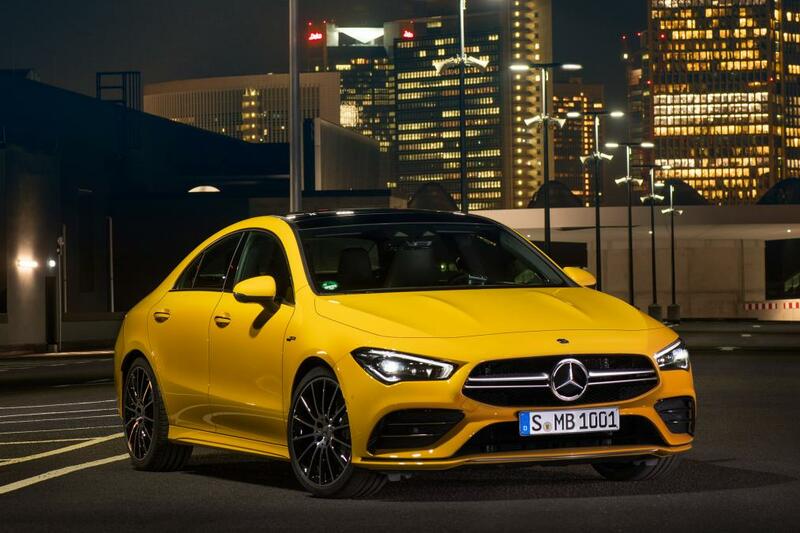 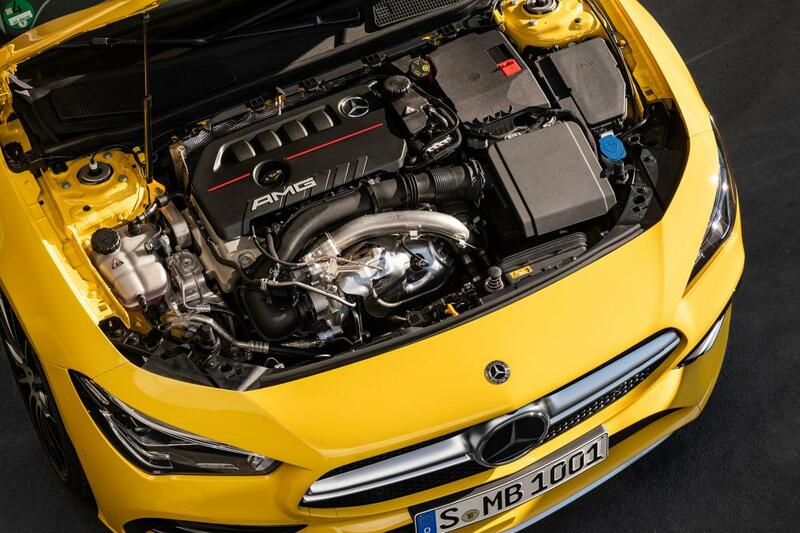 Power-wise you get the same 225 kW and 400 Nm of torque from the 2.0-litre turbocharged four-cylinder distributed to all four wheels via a seven-speed dual-clutch transmission. 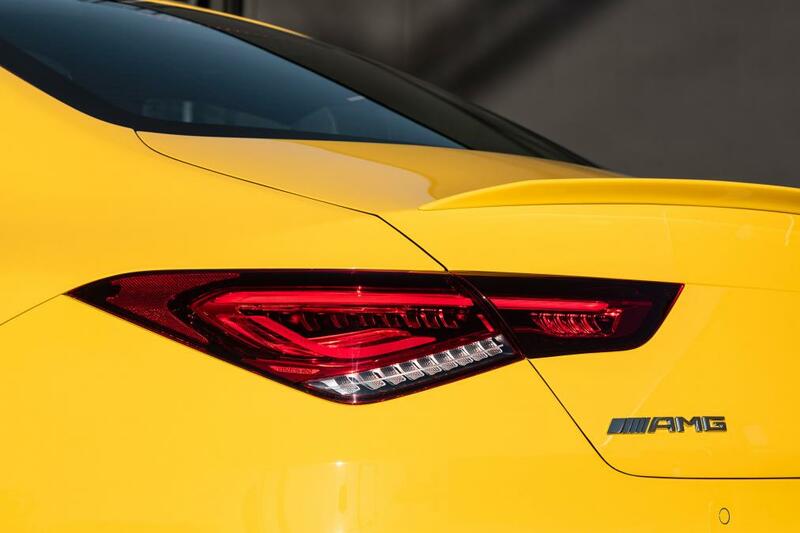 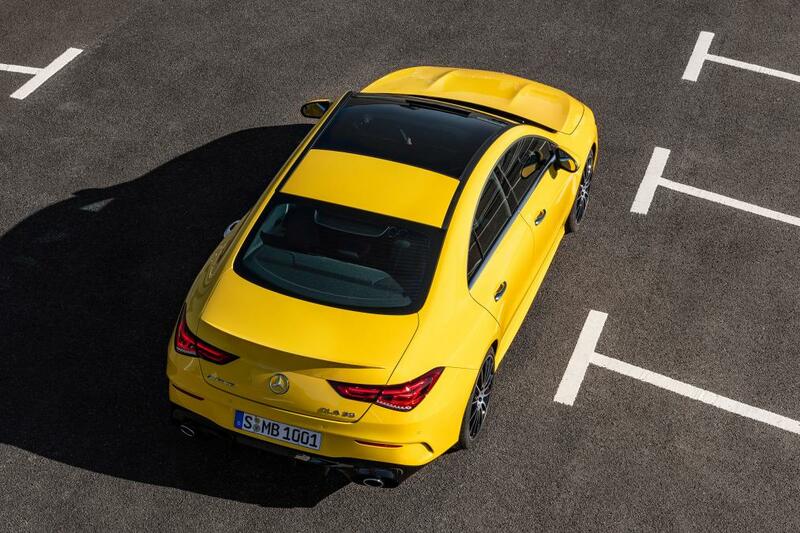 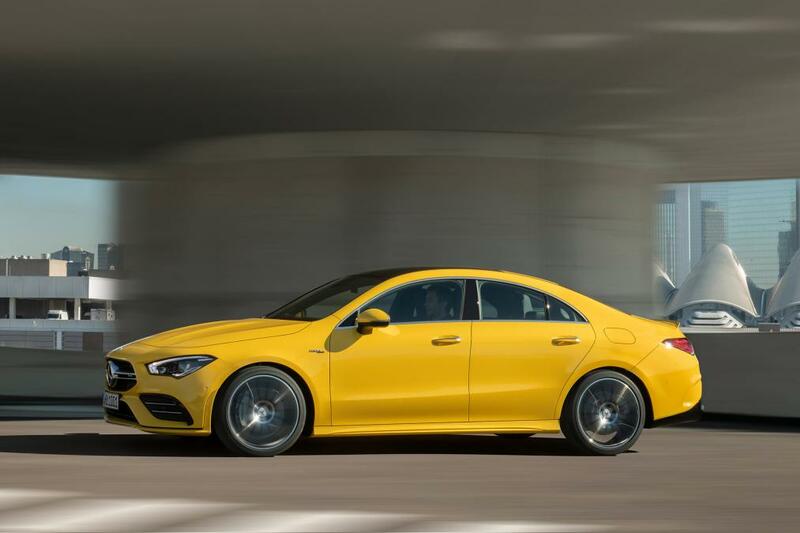 The manufacturer says that it is good enough to get to 100 km/h in 4.9 seconds (0.1 seconds slower than the Sedan) and run to a top speed of 250 km/h. 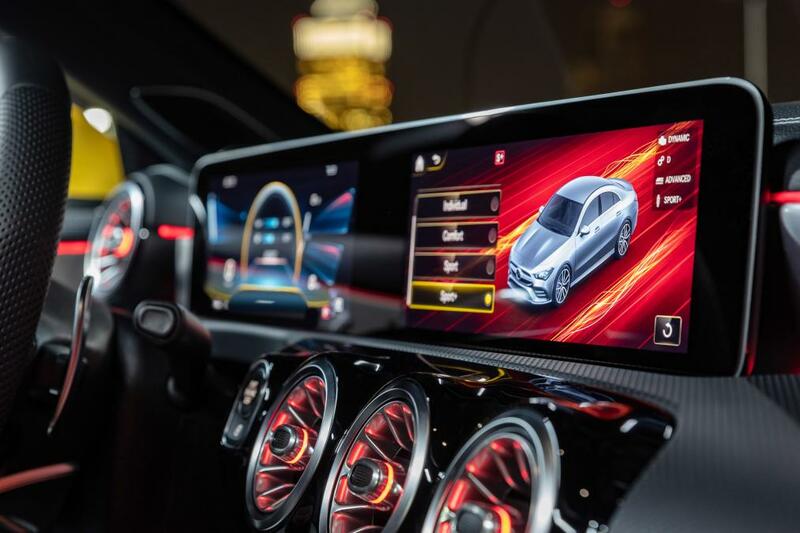 Inside, buyers get Mercedes’ dash-spanning MBUX infotainment system, a flat-bottomed multifunction AMG steering wheel, a pair of leather-and-microfibre-trimmed sports seats, red seat belts, and customisable ambient lighting setup with 64 colour options. 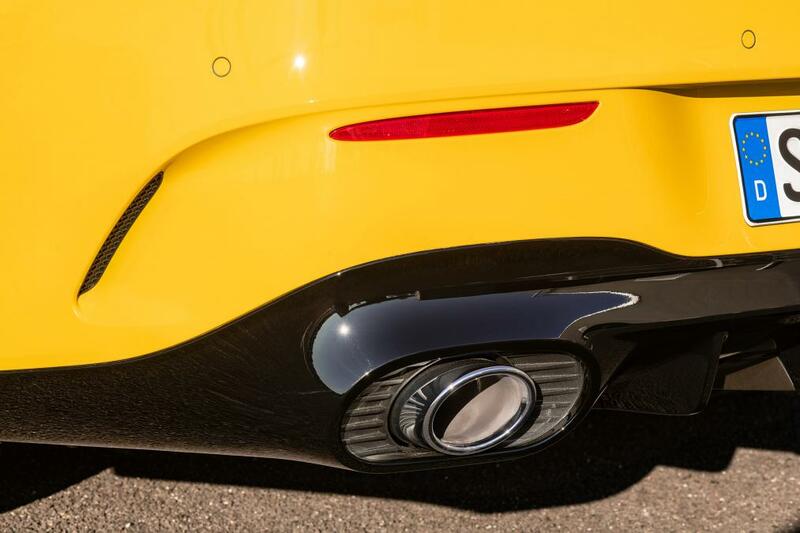 Voice activation also comes as standard, along with a 360-degree camera. 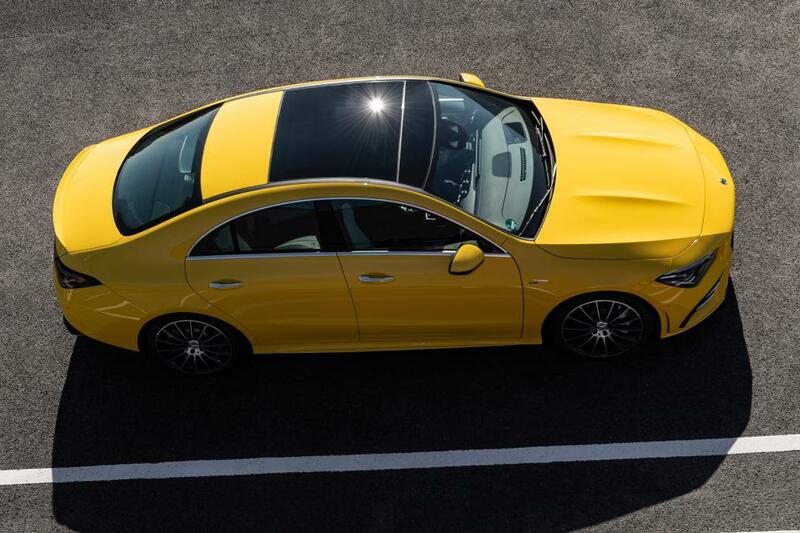 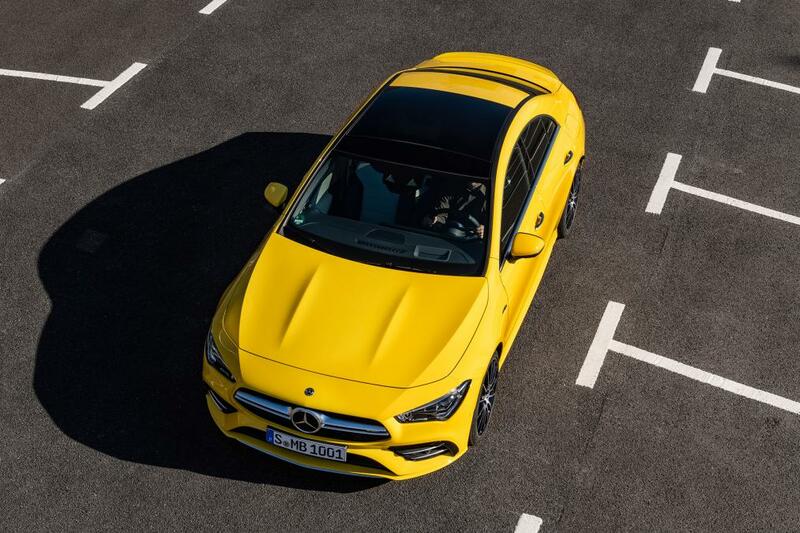 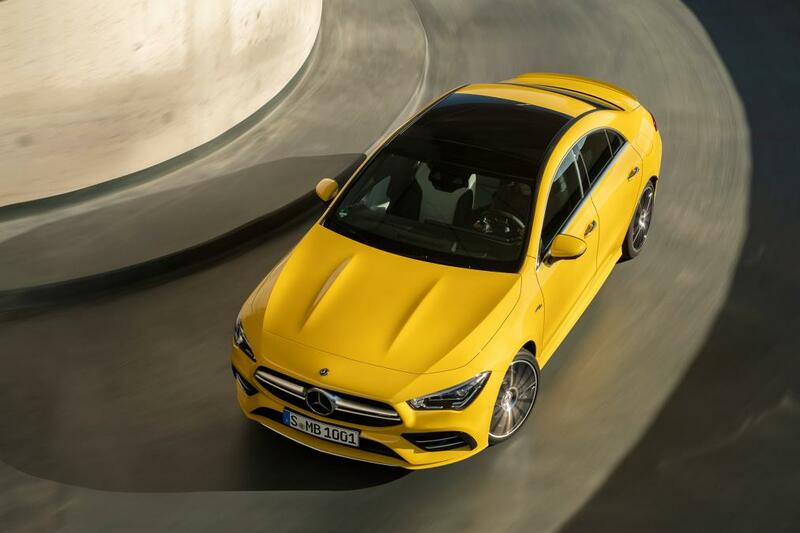 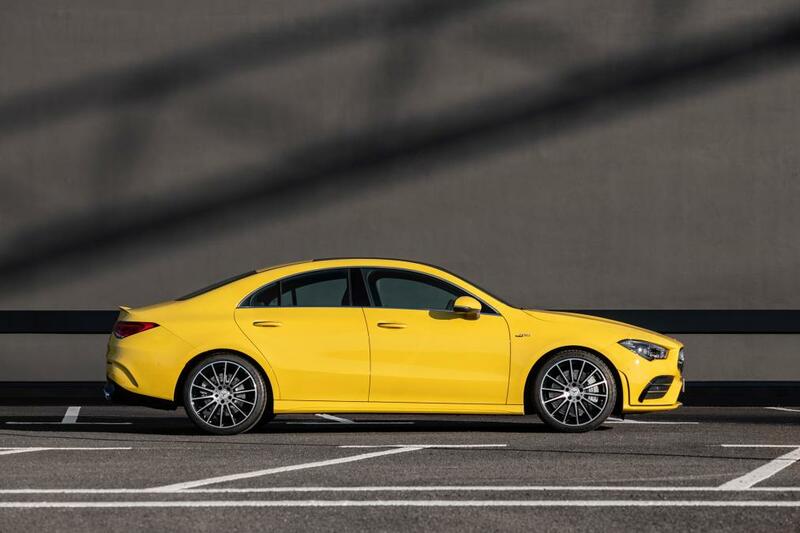 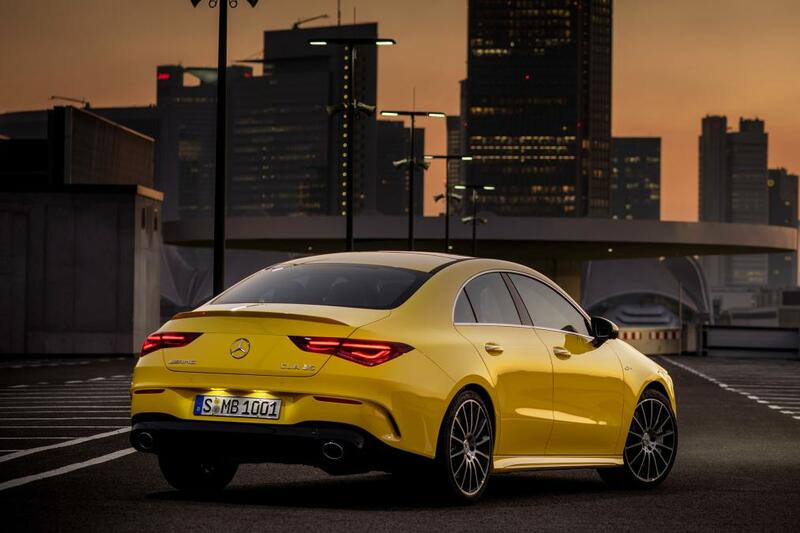 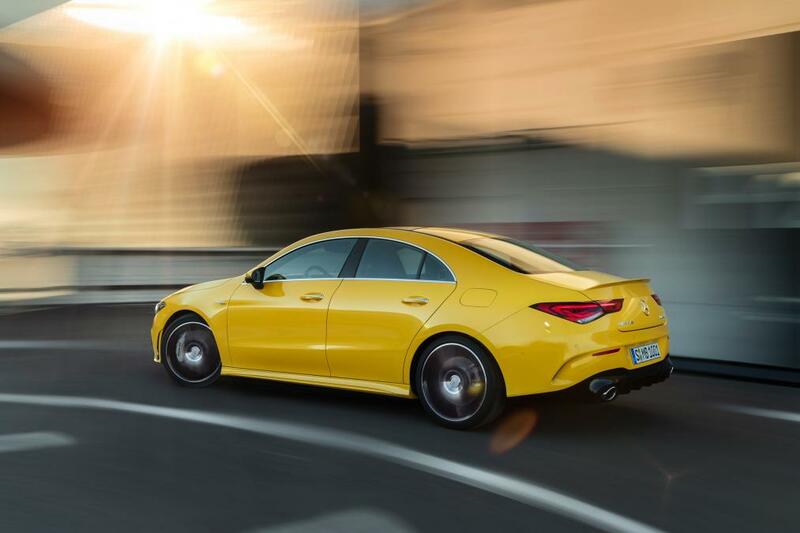 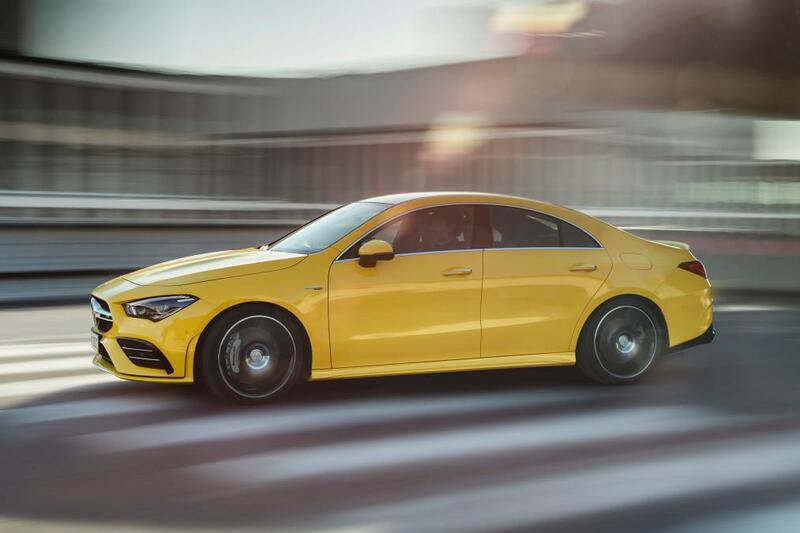 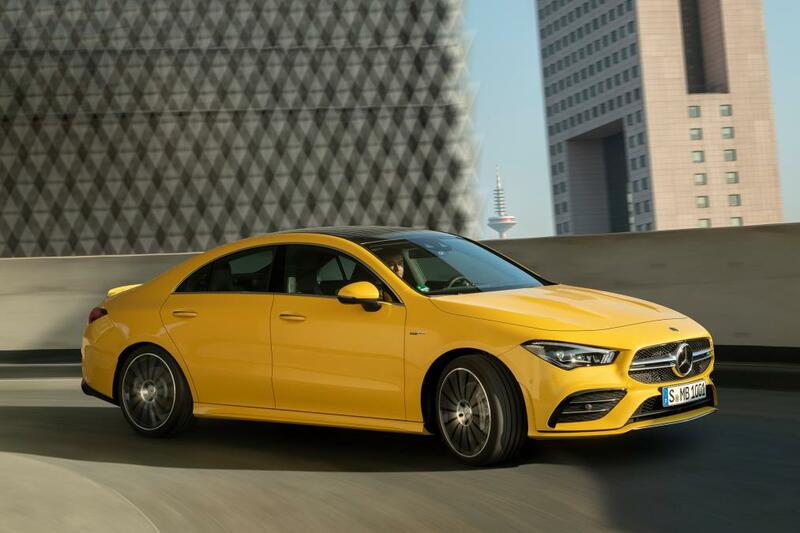 Exterior revisions over the standard CLA include a set of larger disc brakes, 18-inch twin-spoke alloy wheels, AMG Line bumpers, larger side skirts, a more aggressive rear diffuser, a valved performance exhaust system and a lip spoiler for the boot lid. 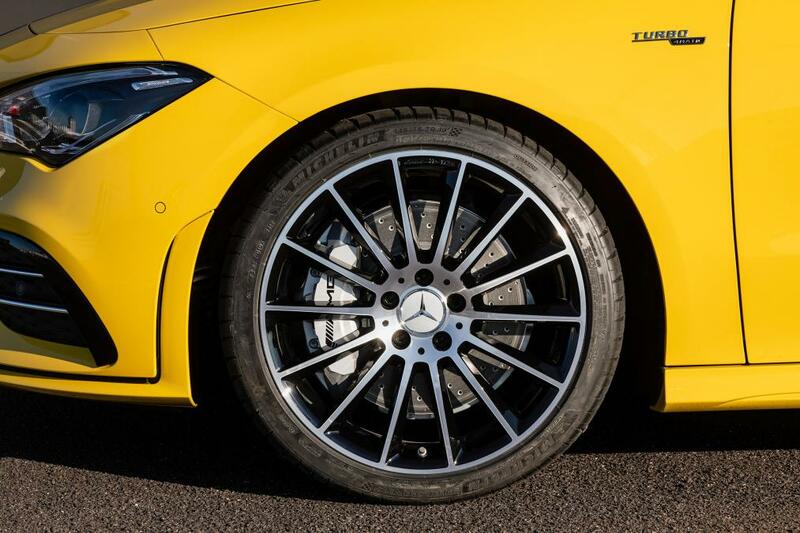 Buyers can also specify optional 19-inch alloy wheels and automatic adaptive dampers.